In 1913, Morgan Tabeling, my paternal grand uncle, passed away from Cholera at only three months old . . . his twin sister, Mamie, also passed away from Cholera, just nine days later. He is laid to rest in an unmarked grave at the Tarfork Cemetery in Breckinridge Co., Tarfork, KY.
Morgan's mother and father (my great-grandparents), sister and infant sibling, have been buried in an unmarked grave for over 90 years, in the Cloverport Cemetery, in Cloverport, KY. 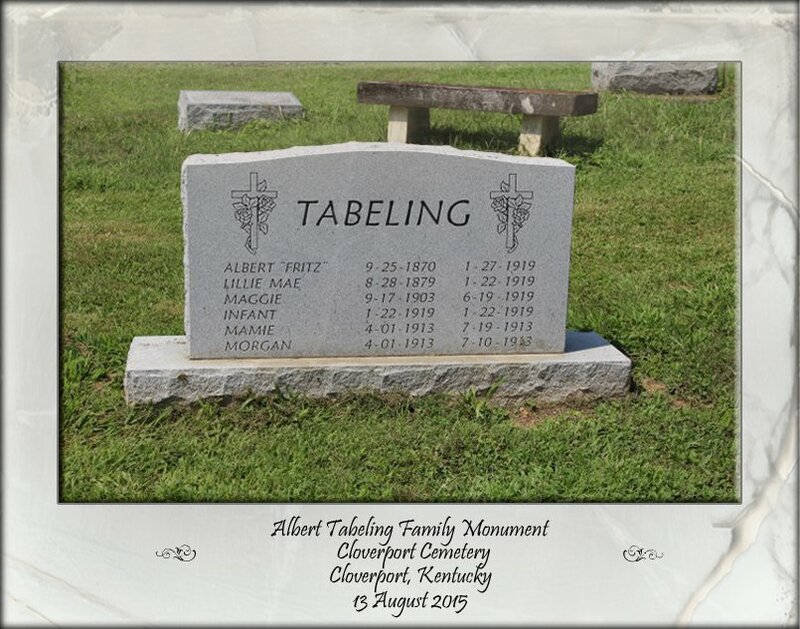 In 2015, my aunt and I discussed purchasing a headstone for the Tabeling family grave at the Cloverport Cemetery and including Mamie and her twin brother, Morgan's name even though they are both buried at the Tarfork Cemetery . . . Mamie and Morgan's name are now included and inscribed on this beautiful headstone that my cousin Jim, purchased in June of 2015, for the Tabeling family. In August of 2015, my family and I traveled to Kentucky to visit my aunt . 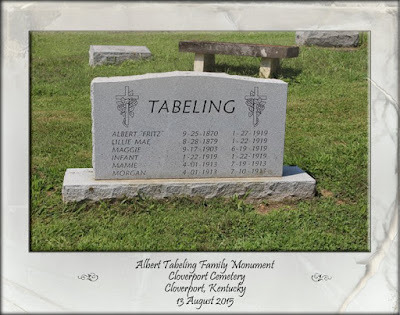 . . we all took a trip to the Cloverport Cemetery to honor and have a little ceremony for the Tabeling family and their long overdue, headstone. Thank you, Paul . 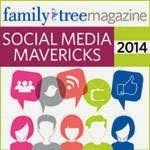 . . finally huh!